LONDON (AP) — Mohamed Salah has been voted player of the year by his fellow professionals in English football in recognition of an incredible scoring return to the Premier League with Liverpool. 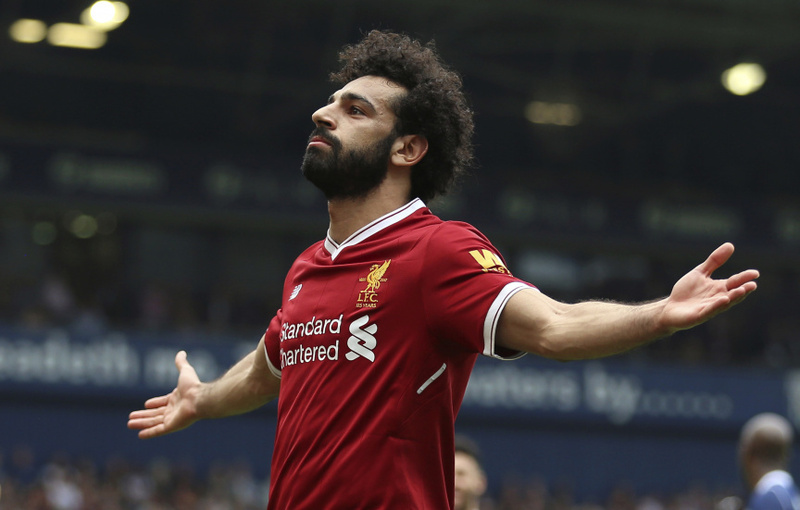 The Egypt forward collected the Professional Footballers' Association award at a ceremony in London on Sunday, two days before Liverpool's Champions League semifinal first leg against Roma. It is a reunion with the Italian club he left in the offseason for 42 million euros (then $47 million). The hefty fee appeared to be a gamble for Liverpool but now represents a real bargain. The former Chelsea player has scored 41 goals in 46 appearances in all competitions for Liverpool — enabling him to beat Manchester City midfielder Kevin De Bruyne in second place to the PFA award. Tottenham striker Harry Kane was third. "It's a big honor," Salah said. "I've worked hard and I'm very happy to win it." Salah is preparing to lead Egypt into its first World Cup in 28 years and he is the first player from the North African nation to win English football's top individual prize. "Hopefully I'm not the last one," he said. "I'm very proud to win and I've worked very hard." Salah's impact has been more remarkable given his underwhelming 2014-15 season at Chelsea before being offloaded by then-manager Jose Mourinho. He went on loan to Fiorentina in early 2015 and Roma in 2016, and then on a permanent basis to Roma in August 2016. Scoring 15 goals and setting up 11 more for Roma convinced Liverpool to bring Salah back to a second spell in England. His goal at West Bromwich Albion on Saturday was his 31st in the league this season, tying the scoring record in a 38-game campaign held by Cristiano Ronaldo, Alan Shearer and Luis Suarez. Suarez was the last Liverpool player to be crowned player of the year by the PFA in 2014 before moving to Barcelona. It's a sign of his remarkable impact that Salah secured the award with third-place Liverpool and that none of Manchester City's newly crowned champions won the accolade. But City winger Leroy Sane was voted PFA young player of the year. The PFA women's player award went to Chelsea forward Fran Kirby, while Lauren Hemp of Bristol City secured the young player prize.